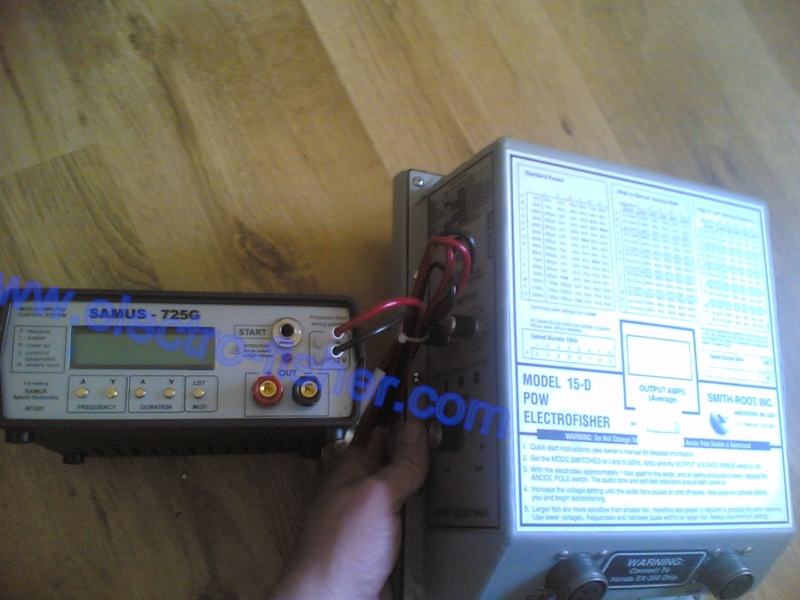 Here you can find a few testimonials and contacts from the USA and other countries which will help you to make decision to purchase our best unit SAMUS725G ( compare it to the USA model smith-root- scroll down till the bottom of the page - cost up 5000 $ vide SAMUS725G -500 $ ( 360 EURO) with shipping included via courier service). Some of them use our units even 3 years now.  See their photos and read their opinions and also contact them via phone or email to gain confidence in our company. 1) The Samus unit is excellent for catching any kind of fish you want to catch. 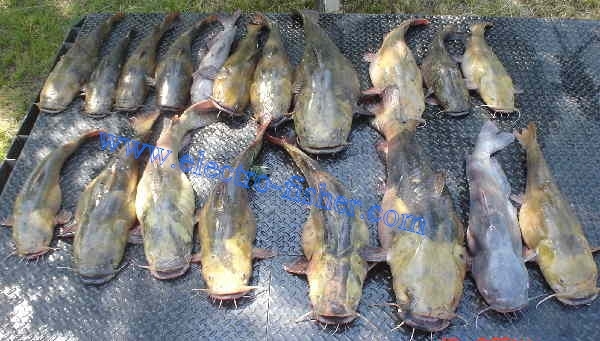 I have caught literally boat loads of different species of catfish, and all kinds of scale fish. Catfish and scalefish require a different setting but both are easy to catch. 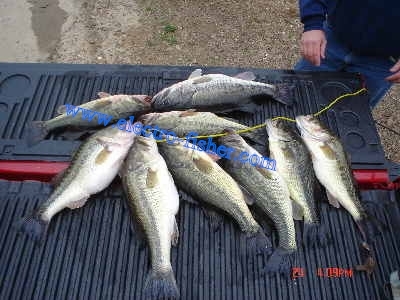 It is not uncommon for me to catch up to 200 pounds of catfish in one trip, and I have caught up to about 100 pounds of crappie and bass. 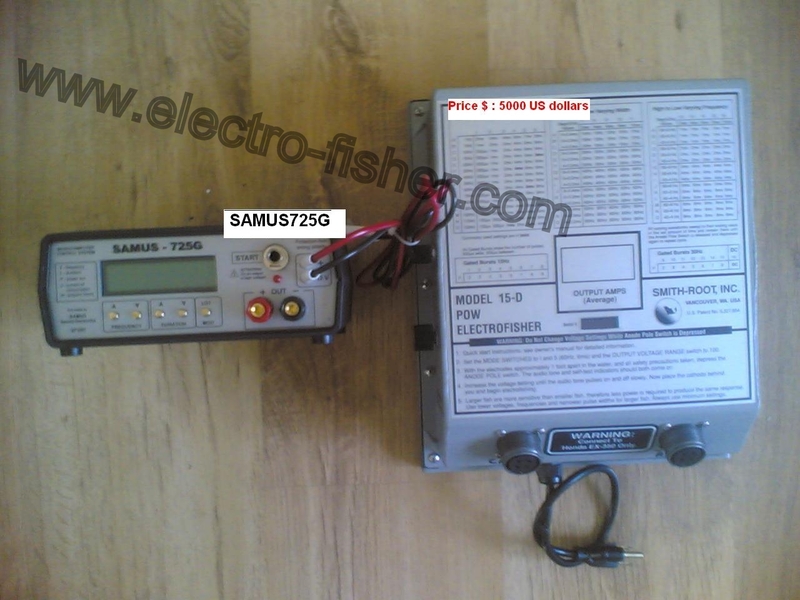 If you want to catch a lot of fish quickly, and inexpensive the Samus unit is definitely what you want to get. If you want one I suggest you go ahead and get it on order and while it is coming in I can prepare you with what to expect, and how to use it to catch different kind of fish with. I have used it many times in large lakes, small and large rivers, getting good results in each setting. The company is probably the best that you have ever dealt with. I have not had any problems but I do know of a couple of people that had a minor problem and they were taken care of immediately. I have been using this product a long time and yet to have the first problem that was a fault of the equipment. I will be glad to assist you in any way that I can. I will be happy to answer any questions that you may have. I am not connected to the company in any way other than having several of the unitsand I have been using them for the bigger part of a year now. 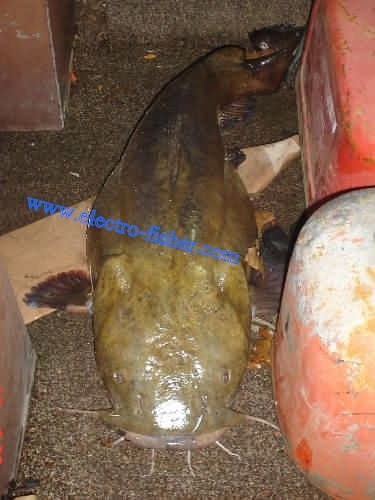 I have used it to catch different kind of catfish from shallow and deep rivers and lakes. I have also caught so many crappie and bass that I have a freezer full, counting the catfish. 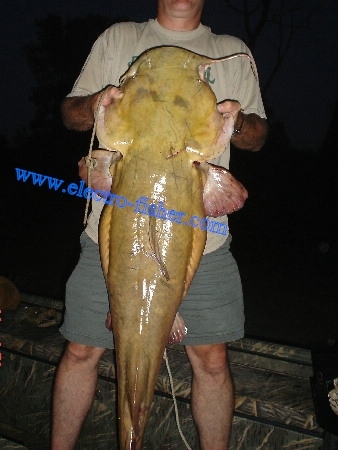 The biggest fish that I have caught is a 54 pound flat head catfish. I don't claim to have all the answers but I am able to go and catch almost any amount of fish that I want to catch on a given day. Any questions that you have fell free to email me and I will answer you as soon as I receive it. I will say this. If you want a machine like this based on "if it works"? Go ahead and order it. It is a good machine and the company is the best that I have ever dealt with. They stand being the product and spent a lot of time answering my questions when I got my first machine. I recommend the product and company as much as I could anything. So, if you want a unit, go ahead and order it and while it is coming to you I can be helping you with step by step instructions as to how to set it up and catch different kind of fish. Sometimes I am traveling but usually take my lap top with me, and if not will be home within a few days. I think you would have to be fishing in sub-zero weather to have bass and crappie that deep. How will they breath? You will get catfish at 30 feet, but I have never fished for them in 50 feet. 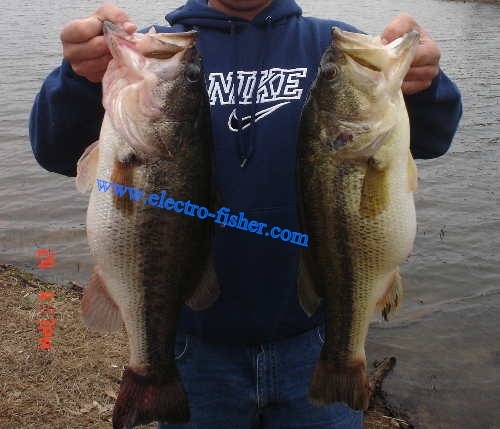 This time of the year here the bass and crappie are in about 2 to 4 feet of water. Crappie stay in as close to 64 degree F water as they can. In the hot summer they go deep because of the temperature. They will be spawning here in about a week and they will be in 1 foot of water then. They won't go deep until middle of the summer, and then down to where it is 64 degrees, if that is possible. Where are you located? I am in Mississippi. I mostly crappie fish, but I have caught catfish up to 85 pounds with the Samus, and I have caught literally thousands of crappie and bass. I never fish for just bass, but I always catch a lot while crappie fishing. A good few hours of crappie fishing here I get anywhere from 90 to 300. I also pick up around 50 bass with them just because they are there. This time of the year the ball are also in shallow water. I also have a $6500 Smith Root machine that I never use anymore since I have the Samus. The Samus does just as well if not better and doesn't require a generator. If set up correctly the Samus will bring crappie and bass slowly to the top and all you have to do is pick them up with your net. I have tried all types of equipment and I recommend the Samus over anything else you could find. If it doesn't work for you the only other thing you could do would be get an extremely powerful unit that requires about a 5000 or more KW generator, which is not practical. 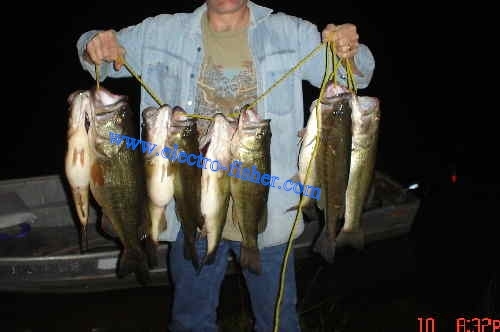 If the Samus does not do the job get a good jig pole for the crappie and a good rod and reel for the bass. The company is the best that I have ever dealt with and the product is as good as it gets. After trying my first one I got two more just for back up in case the original one failed. I still have two new ones in the box ( and they are not for sale ) that have never been used. The one I use has been dropped, soaked with water, and still just keeps on working. I have had many people contact me that have gotten them and all have been more than pleased. If you get one and it doesn't catch fish for you,then you are doing something wrong. Once you get the hang of if you will be more than pleased. 2)Howard /England For UK buyers only- Contact Mr Howard. 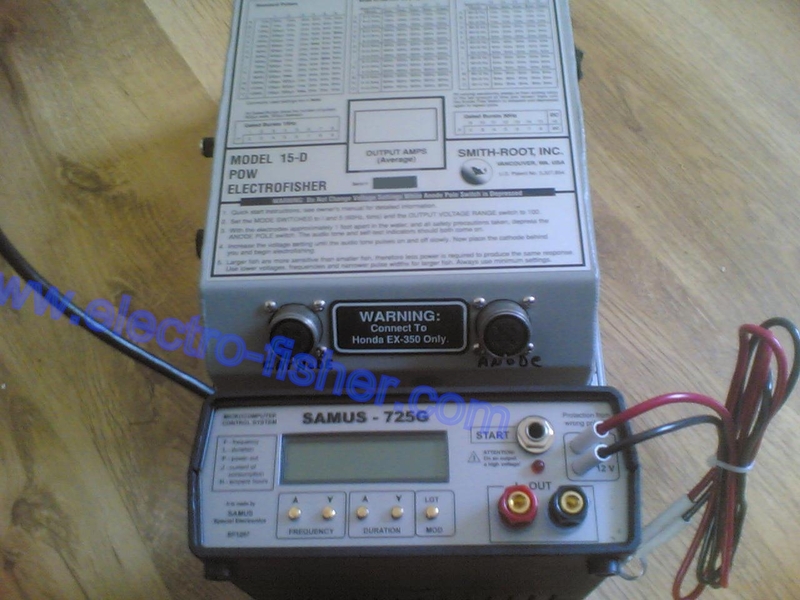 I thought i would contact you for a little advice, i am using your unit which is working very well i have got one person who is quite intrested in buy one but wants to see mine working next week, can you tell me when i use it on the surface area it seems no problem set at freq 65 duration 0.65. But i know that there are alot bigger ones, but the boat (dingy) i am using is a bit awkward to move about in the Lake and using an oars seems to scare them to deeper depths of about 20 feet and i think it is not reaching them. could you give a setting that you think might work, i have ordered a couple more 17 ampre hour batteries. This is not a moan i am very happy at what i have got out so far, approx 2 tons of fish, if you have anybody who wants feedback do not hesitate to let them contact me. Used the machine yesterday and obtained 4kilo pike x3 and many small fish and some large eels. It is a good machine. It is working very well. The only problem I have is that many fish seem to be staying on the bottom or sinking straight away without coming to the surface, what am I doing wrong? This man after excellent results on his ponds has helped me to sell over 30 units in Germany to his friends.